Propagating African Violets is easier than I initially thought. As you may have seen, I’ve killed many of these pretty houseplants. It wasn’t until recently that I seem to have gotten the hang of keeping them alive! First thing you want to do is prep everything. Your planting container should be cleaned, then cut a small hole in the bottom of it. Be careful while doing this, of course! 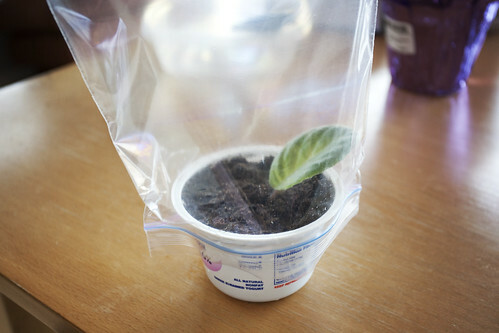 Now, find a healthy looking leaf from an adult African Violet plant. 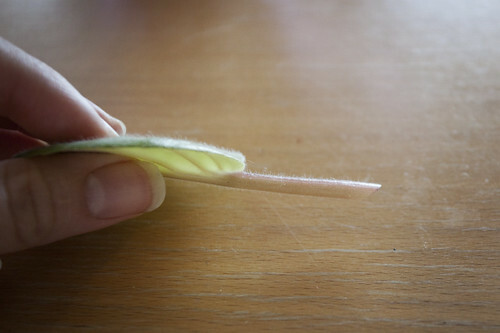 Use a sharp knife to cut the stem of the leaf at a 45 degree angle. Make sure the cut is clean. 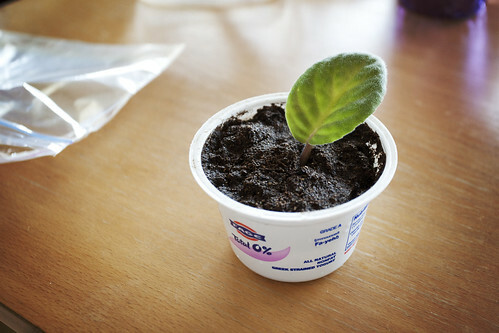 Now stick it in your container with some good seedling mix, and give it a good drink of water. African violets like to be in an environment where the air is holding a lot of humidity, and that’s where your plastic bag comes in. 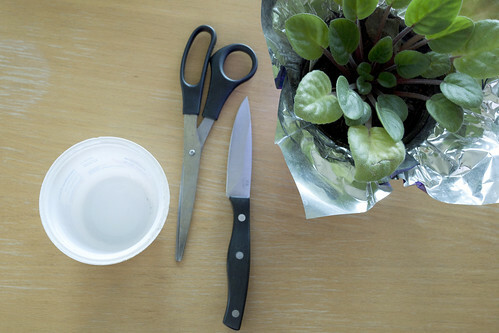 If need be, use scissors to cut it to fit the plant. I happened to luck out, and my bag fit pretty well without needing any cutting. 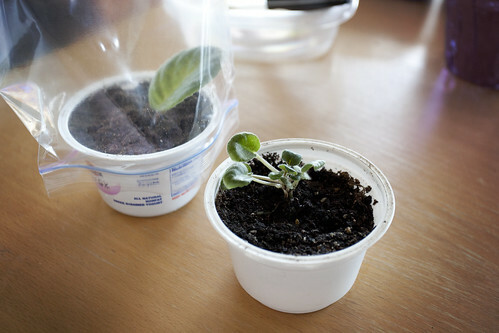 Now the easy part is done; caring for the small plant as it grows is the difficult part. I’ve found that they do best if kept in a humid environment. Keep in mind, that they do not like to be sitting in water, so it’s better to allow the container to wick in moisture as needed. Once a smaller plant starts to grow, I usually move them into a larger terrarium type container. 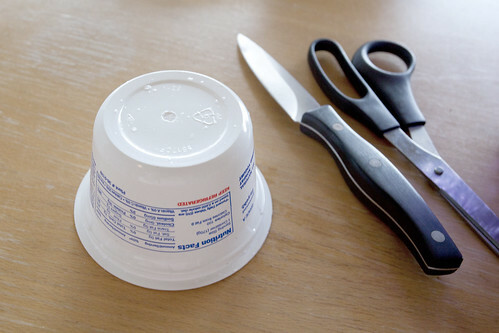 I put small rocks in the bottom of it and pour in some water; the container then goes on top, and a lid goes over the whole thing. Having a few holes for air circulation is also a good idea. Keep the small plants in an area with bright indirect light, and they should thrive. Soon you’ll have little African Violets like these! Next PostWeekend Warrior Edition – New Camera! Thanks so much for the tutorial. I had a coworker (who actually gave me my African violet) who said you could propagate them by sticking the cut leaf in a glass of water, but I’ve never had good luck with that. I’ll have to try your method soon as my current African violet is get unmanageably large!